VICTORIA — A week ago, it was the new on-line stores, for both Canadian and U.S. fans. 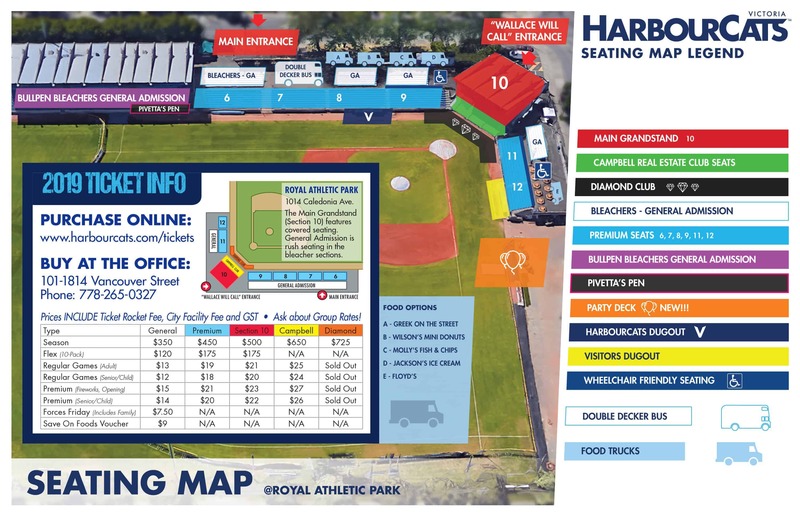 Today, the Victoria HarbourCats are pleased to announce the addition of GIFT CARDS to the offering for fans, a different way to get set up for the season at Wilson’s Group Stadium at Royal Athletic Park. Fans can load the cards up with any denomination of their choice to use for in person purchase of tickets and merchandise, in addition to giving them as the ideal gift for Father’s Day, Mother’s Day, or personal celebrations. 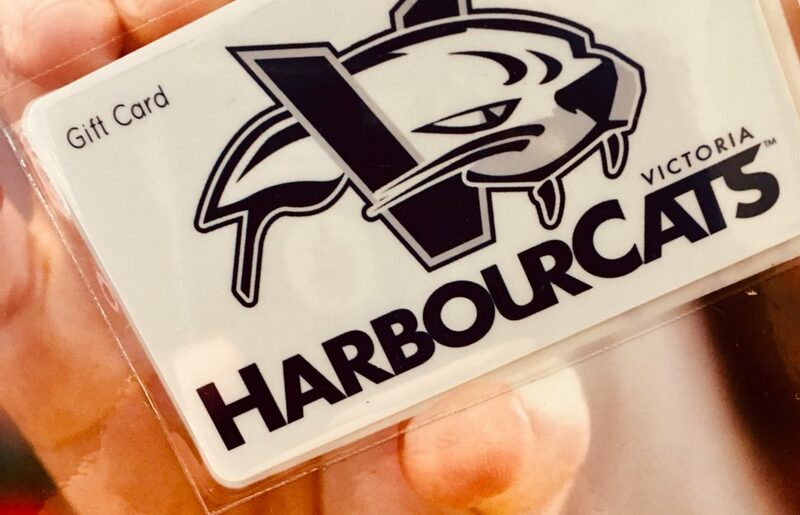 The gift cards can be purchased and loaded up at the team’s front office, 101-1814 Vancouver Street. The team is now into pre-season mode, open Monday-Saturday, except for holiday weekends. See details below! Our pre-season office hours at 1814 Vancouver Street are now 10:00 am to 5:00 pm Monday through Friday and 10:00 am to 4:00 pm Saturday. We are closed (or by appointment only) on Sunday.